Today the Government kicks of a consultation about the use of RIPA surveillance powers - brought in some years ago. The review is being headed by Notts MP and Police Minister Vernon Coaker and Local Government Minister John Healey. Healey said: "These powers must be used in a way that commands the public’s confidence and should be used properly and proportionately." Here's an idea. Why not decide who should have the powers and exactly how they should be used before bringing them in? If the media hadn't exposed the misuse of RIPA I doubt ministers would have stepped in and voluntarily checked councils. 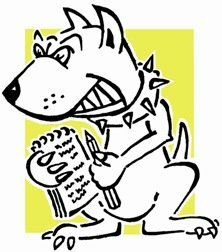 "use of covert surveillance powers to deal with minor offences such as dog fouling and littering, is not appropriate." This is as close as we get to an admission that RIPA powers have been badly misused. Am I the only person who thinks it suspicious that for days the PM refused to apologise for the McBride Scandal and then when he did, it came as another big, long-awaited story was breaking? An effective comms man at Number 10 would have noticed the Green arrest story coming out this morning and realised the apology would not get as much coverage if it was done at the same time. Brown’s “sorry for what happened” comment came less than an hour before Green’s statement on his arrest, release and the overall investigation. 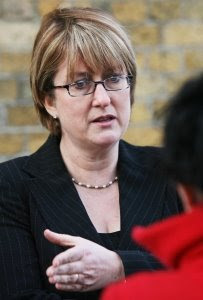 Just when she thought everyone was finally looking the other way, Jacqui Smith will find a good few fingers pointing at her again today. 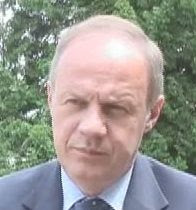 The Home Affairs Select Committee report into the Damian Green affair concludes the Cabinet Office exaggerated national security implications of leaks that led to Green’s arrest. Indeed, it was evidence from the Home Office that convinced committee members national security was not at such a risk. If that was the case why didn’t Smith realise things were getting out of hand and do something? Vaz seemed to suggest today that the exaggeration was not sanctioned by ministers, only officials – if so, why didn’t officials speak to their ministers about such a crucial matter? A Home Secretary in a strong position might find this one a toughie. 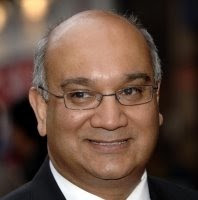 Keith Vaz will be licking his lips at the chance to grill Denis O’Connor over police brutality in his select committee next Tuesday. 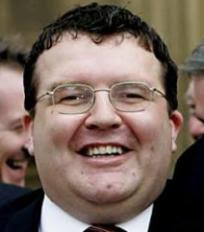 O'Connor is the Government’s preferred candidate for the top cop job – Her Majesty’s Chief Inspector of Constabulary. 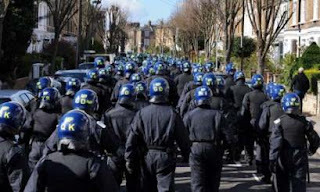 His session at the Home Affairs Committee provides Vaz with a chance to capitalise on publicity around the G20 riots. Remember, this is the man who brought Shilpa Shetty into Parliament. In the mean time here is the vid which is causing more anger – it shows a sergeant whacking a woman at the protest, with a bit of commentary from the BBC. The Evening Post has printed a bit by Alan Simpson MP on the arrests of 114 eco-protestors planning a demo at Radcliffe-on-Soar power station. Memories flood back of the Kingsnorth demo, at which police action was provoked by savage attacks launched by bees and sunshine. ...The trouble with the pre-emptive arrests is that you don't have a crime. All pertinent given G20 shenanigans. 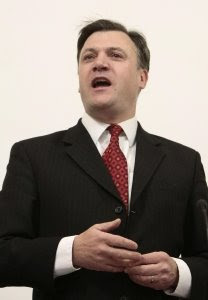 There was an edge of discomfort in Ed Balls’ voice as he discussed emailgate on Radio Four just now. Initially the Children's Secretary comfortably walked in line – branding Damian McBride’s behaviour as inexcusable – but it wasn’t such a stroll when discussing his knowledge of the former special advisor’s activity. He tried two diversionary tactics – firstly trying to shift the focus of the interview by criticising the fact that offending e-mails had been published by the media. It didn’t last because Naughtie rightly pointed out that if the story hadn’t come out the behaviour would have continued. 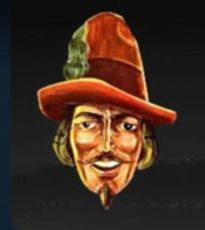 He then tried a direct attack on blogs, claiming he and his wife had been subject to defamatory comments on the web and naming Guy Fawkes’ blog in particular. In the end, predictably, all he would say of emailgate is that all parties had to “look in upon themselves” and change the way politics is done. 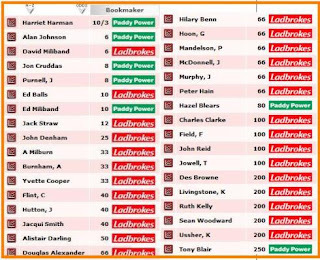 In truth Balls will feel the loss of McBride a little more keenly than other senior Labour figures – many of whom have been the target of attacks. 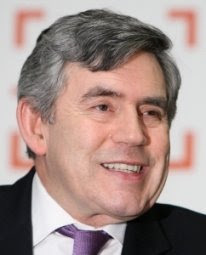 McBride’s bullish talents would have been at the behest of Balls in a post-Brown leadership contest. 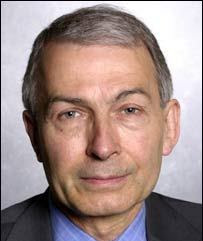 Frank Field has written a soul-searching, yet damning, post on his blog in the wake of e-mailgate. It's called Darkness at the Heart of the Labour Party. He writes: Week after week MPs have been turning up but with almost no serious work to do. There is the odd bill to be sure. But there is no legislative programme to speak of. Even the debates that are put on to fill in time are ones that deny MPs a vote. The whole exercise is vacuous. ...start such a fracas while I was out of the country. I return to find Guido has not only taken a major scalp, but also dealt a potentially lethal wound to Labour. It’s not a “knock-out blow” sort of wound, more of a precision cut that will bleed them to death between now and the next election. The kind of thing that makes people demand change no matter what it is. There were still a few hacks in Westminster who doubted the significance of blogs. This will be a turning point for them as well as the Government.